President of Ukraine Petro Poroshenko put into effect the decision of the National Security and Defense Council of Ukraine (NSDC) of March 19, 2019 “On the application, cancellation and amending of personal special economic and other restrictive measures (sanctions)”, including those against the leaders of the Council of the Federation of the Federal Assembly of the Russian Federation and the Members of the Russian State Duma, the press service of the National Security Council reported. In particular, the sanctions were imposed against 294 legal entities and 848 individuals who were involved in the construction of a transport passage through the Kerch Strait, engaged in armed attack and seizure of Ukrainian military boats, as well as in the unlawful detention of Ukrainian sailors. The measures were also introduced against those who organized and facilitated the “pseudo-elections” in the temporarily occupied territories of the Donetsk and Luhansk regions, as well as the Crimean Peninsula, defiantly violated the Ukrainian laws of entry / exit to the temporarily occupied territory of the Ukrainian Crimea, distributed printed materials of anti-Ukrainian content, illegally received and used the museum heritage belonging to Ukraine. Опубліковано РНБО України. Оперативний штаб. Середа, 20 березня 2019 р. The Security Council of Ukraine also introduced restrictive measures against those Russian citizens, who were sanctioned by the European Union, the United States and Canada. Moreover, the sanctions to four banks with the capital of the aggressor state were extended, based on the proposals of the National Bank of Ukraine. On March 15, following the EU, new sanctions against the Russian Federation were imposed by the United States and Canada. The sanctions list included several Russian citizens directly related to the act of aggression against Ukrainian sailors off the coast of the Kerch Strait in November 2018. 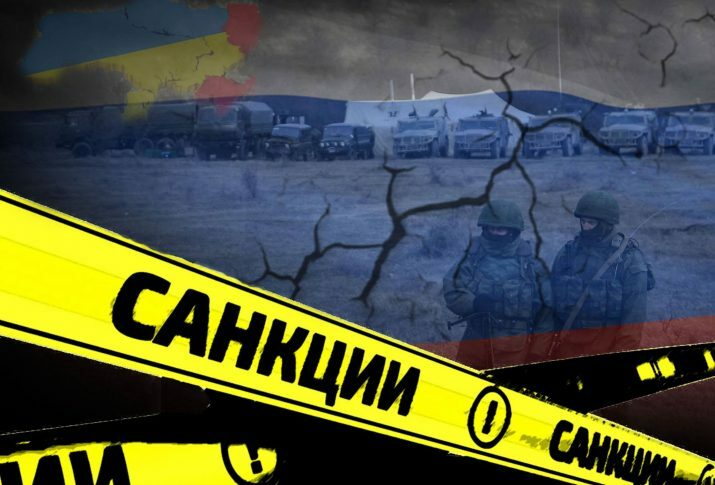 On March 18, 2019, Australia imposed financial sanctions and travel bans against seven Russian citizens and three collaborators from the occupied Donbas in response to continuing Russian aggression against Ukraine.